If shopping continues to be a struggle for you, if you cannot find the perfect ensemble for a special occasion, Reformation has got your back. Reformation, always been one of the best clothing brands for women, has made shopping a lot easier, as they just launched an extended size collection in time for the spring. And the good news is, it is here to stay. A significant change has been seen in the fashion market, as more high-end brands embrace extended sizing. One of the brands that are taking the huge leap is Reformation, a Los Angeles–based fashion brand that launched its first plus-size capsule in March 2018. When they opened, Reformation offered an array of cute dresses, tops, jeans, and swimsuits, but these sold out fast. When the stock rooms went empty, Reformation’s plus-size couture disappeared from its website. But just when people thought it was gone forever, the brand came back with an even better and permanent plus-size collection. Just a year after their capsule’s launch, on March 28, 2019, the brand announced a size-inclusive spring collection, which includes a bunch of its best-selling staple tops and bodysuits. It caters to 14–24 sizes, as well as 1X up to 3X. The collection is surprisingly affordable too, as it starts at $48 only. With that, you can already get a tight-fitted Bardot top or a v-neck Amelia top with tie straps. You can also get a sleeveless or short-sleeved bodysuit that hugs your curves, sold at a modest price. 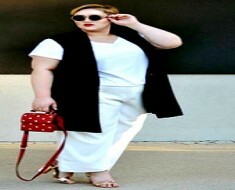 Other than that, the plus-size line from Reformation features straight jeans, boot-cut slacks, and stretchy skinny pants that accentuate the thighs. And if you fancy some skirts, they have a wide assortment, which you can match with the brand’s upper garments. It is meant to serve formal occasions too, since the couture includes simple and casual yet elegant dresses. The $248 Marabella Dress is Ref’s most-requested style. It is a mid-length smocked corset dress with a square neckline, pump up sleeves, and side slit, perfect to wear on a weekend errand. They also have a $278 Winslow Dress, which is an ideal outfit to sport at a wedding. If you find their collection a bit expensive, you can also choose to pay an item on an installment basis, which means that you can shop now and worry about paying for it later. You won’t even have to settle any interests or additional fees as long you pay your dues on time. Isn’t that a good deal? Now that Reformation has revealed their extended size collection and it is here for good, you have another fashion brand to check out. 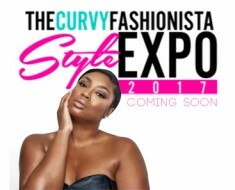 Mark Your Calendars: The TCFStyle Expo 2017 Is Coming!